Product prices and availability are accurate as of 2019-04-19 05:09:54 UTC and are subject to change. Any price and availability information displayed on http://www.amazon.com/ at the time of purchase will apply to the purchase of this product. 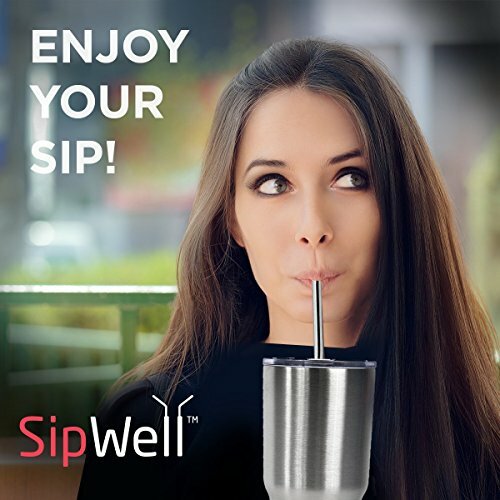 Can you imagine sipping your aromatic coffee or your refreshing cocktail with a sleek stainless steel drinking straw that would add a unique stylish touch to your drinking experience while respecting the environment? 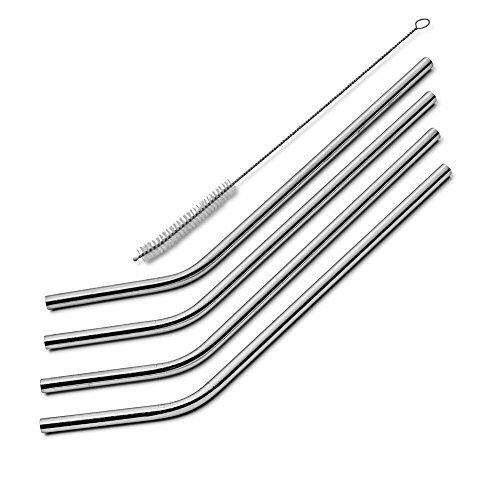 Forget all about plastic straws that add to pollution and treat yourself to the deluxe experience of this exquisite set of 4 high-end straws that will take your enjoying a fresh juice or an ice cold cocktail to a whole new level! 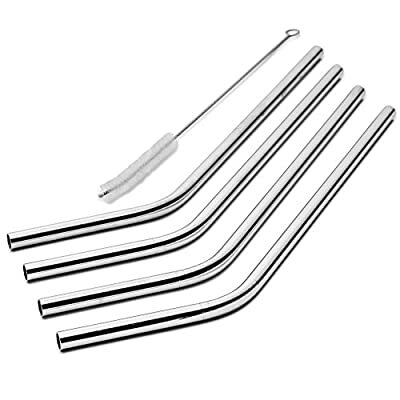 Made of durable stainless steel and intended for lifelong use, these ultimate quality shiny straws will be a stylish replacement for common disposable drinking straws, making your guests' heads turn with admiration in your next cocktail party, Sunday BBQ, party favor or family reunion around a festive table. Ice Cold Drinks With A Kick! 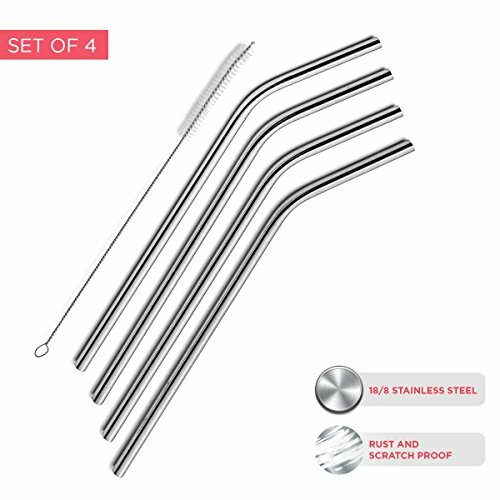 This elegant set of stainless steel straws, perfectly fitting your Yeti 20 oz or RTIC 20 oz Rumbler Tumbler(it does NOT fit the 30 oz cups), will keep your drinks colder for longer. Treat your guests like kings and show off your excellent taste! 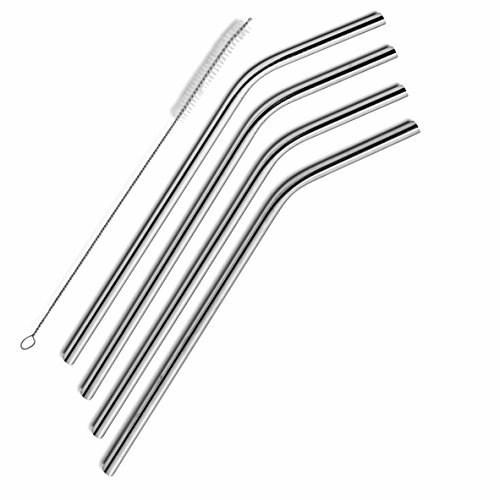 Durable and sturdy to withstand daily use, made of unique longevity stainless steel, your elegant rust-free, stain-free set of reusable straws will be a conversation topic in the next party you throw! 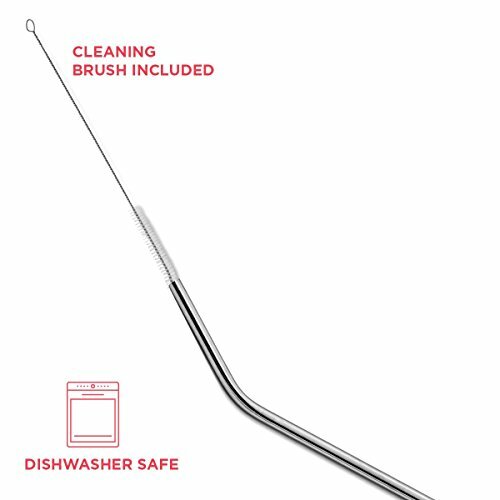 Clean your straws in no time with the flexible CLEANING BRUSH accompanying our set or place them conveniently in the dishwasher. Offer this classy set of straws on all occasions and enjoy the ear-to-ear smile on the face of the lucky recipients! Get Your Very Own Stainless Steel Straws! Aproximately 7-8 inches inches long from top to bottom. Dishwasher safe. PLEASE NOTE: THIS DOES NOT SEEM TO FIT THE Yeti 30 oz OR RTIC 30 oz. FOR THE 30 oz CUPS, PLEASE BUY THE SIPWELL EXTRA LONG STRAWS ONLY. These are not intended to be used with smoothies, due to them not being wide enough. Also, the straw is only approximately 6 inches long from after the bend (8 inches total), so it will not fit in all cups. Rust and scratch proof-18/8 stainless steel Good for the environment. Fits the " YETI Rambler 20 oz Stainless Steel Vacuum Insulated Tumbler with Lid " exeptionaly well!! !